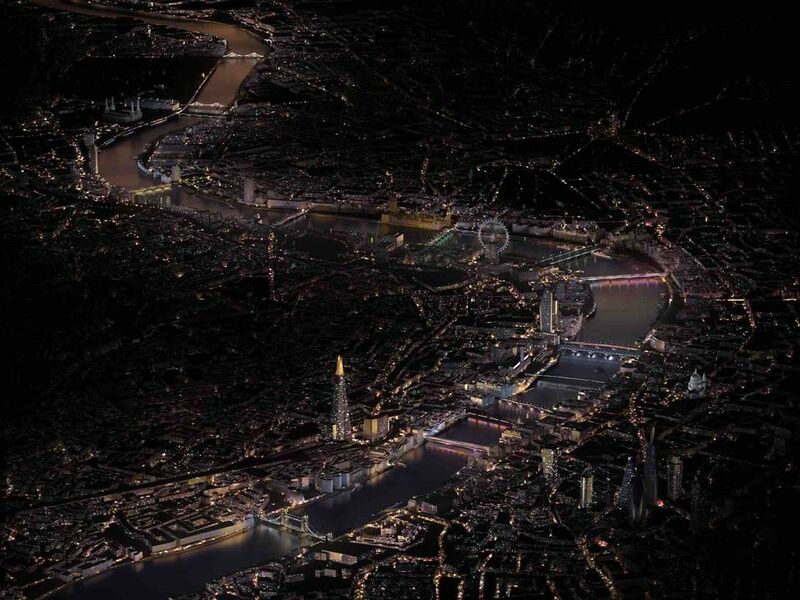 The Illuminated River initiative, an ambitious public art project which will light up London’s bridges, is moving ahead with the first four bridges transformed in phase one due to launch next summer. London Bridge, Cannon Street, Southwark and Millennium Bridges will be illuminated as part of the project driven by the US artist Leo Villareal and the London-based architects Lifschutz Davidson Sandilands. Fifteen bridges in total, running from Albert Bridge in the west to Tower Bridge in central London, will be lit up under the scheme, as well as parts of the river banks. “The activation across the bridges will be phased, with a further section completing in 2020, and Illuminated River due to be fully delivered by 2022, subject to funding being secured,” a project statement says. The average cost for lighting up each bridge is £3m. The project has received a “multi-million pound donation” from the Blavatnik Family Foundation founded by the Ukrainian-born American-British businessman and philanthropist Leonard Blavatnik. The philanthropists Peter Baldwin and Lisbet Rausing have pledged £5m through the Arcadia Fund while the Rothschild Foundation has contributed £5m. Seed funding of £250,000 was also awarded by the Mayor of London’s office. The remainder of the funding will be sought from private and philanthropic sources. The Thames-based public art piece should be in place for at least ten years, says Sarah Gaventa, the director of the Illuminated River Foundation, the charity established to deliver the project. “At around 2.5 miles long, we believe this is the longest public art project in the world. You don’t have to go out of your way to see the bridges; around 40 million people will see the first phase which is a very positive thing. The scheme is timely, focusing attention on London’s night-time economy for instance,” she says. The organisers do not anticipate closing the bridges as most of the installation work will take place underneath (technicians will gain access via abseiling). Some of the bridges are listed but the Illuminated River Foundation has the support of Historic England, gaining 18 listed building consents. “We will work closely with [Historic England] to respect the historic fabric and character of each bridge, and to ensure that the scheme has no adverse visual or physical impacts,” says a statement posted online, further stating that bat and bird habitats will also be protected.